The 13 Russians indicted allegedly represent the “Internet Research Agency” merely referred to as “the organization” throughout the FBI’s highly publicized indictment (PDF). The Internet Research Agency was allegedly run by Concord Management and Consulting. However, the FBI failed to establish any link between the Internet Research Agency’s supposed operations and the Russian government. It attempts to claim that Concord Management and Consulting and Concord Catering are “related Russian entities” with various Russian government contracts – however the FBI failed to detail what this statement meant, merely insinuating that the Internet Research Agency may have been another Russian government contract. The “Russian meddling” described in the FBI indictment consists of Facebook ads and the creation of accounts posing as American social media personalities commentating on US political issues. The FBI’s indictment failed to list any instances of Russian government money, or money from an alleged intermediary being funneled into any actual US political parties, opposition or activist groups, or any US-based media organizations. The FBI indictment claims that monthly funding for the Internet Research Agency’s “influencing operations” peaked at $1.25 million, but did not provide any additional information regarding the organization’s budget, or how significant this peak was when compared to monthly averages. 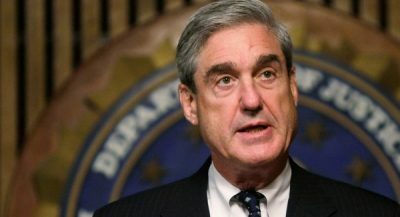 On Friday, Robert Mueller’s team released a slate of indictments that lays bare what it asserts is the full shape of the Russian meddling apparatus. And what an apparatus it was. In the run-up to the US presidential election “Project Lakhta”, as it was called, had an operating budget of more than $1m a month. Considering that the BBC coordinates its own “influence operations” with other multi-billion dollar media corporations in the United Kingdom, across Europe, and of course in the United States, the gargantuan disparity between the “full shape of the Russian meddling apparatus” and that of the West’s own “influencing operations” is put into proper perspective. When considering the role of US-based corporate lobbyists and their role in influencing both political candidates and the American public ahead of elections – this disparity widens even further. To suggest that “the full shape of the Russian meddling apparatus” had any significant effect on the outcome of the US election is far fetched at best. To suggest that the Russian government would have conducted such feeble attempts to influence the US presidential election when it is fully aware that large, corporate-financier interests actually determine US policy, is also implausible. That accusations against Russia are meant to deflect away from America’s own growing problems both domestically and abroad, including its attempts to justify a wider confrontation with Russia itself, is a much more likely explanation. Should the Russian government have intentionally and directly attempted to interfere in US elections or America’s internal political affairs, it would constitute an attack upon American sovereignty and warrant a vigorous US response. However, nothing of the sort has been established yet, with the US having sought to target Russia with wider sanctions and provocations long before the 2016 US elections appeared on the horizon. That the US has attempted to use what it calls “improper foreign influence on US elections and on the US political system” as a pretext for attacking Russia, its media both in Russia and its US-based networks, its diplomatic mission in the United States, as well as the Russian economy through sanctions, indicates that Washington is more than aware of how inappropriate it is for one nation to attempt to interfere with or influence the internal political processes of another nation. Yet this is precisely what the United States itself has done – for decades, openly – around the globe. Unlike the FBI’s indictment, which fails to establish any direct link with the Russian government or define any specific examples of what could be considered political interference – beyond Russian-based media operations – the US conducts vast efforts to interfere in the elections and political processes of nations around the globe. Through US government-funded agencies like the National Endowment for Democracy (NED), operating on an annual budget of hundreds of millions of dollars, the US controls entire opposition parties, opposition groups and so-called “activist” organizations inside targeted nations. This also includes the creation and funding of media organizations – not based in the US and commentating on foreign politics – but operating inside targeted nations, often concealing their foreign funding from their audiences. NED also funds lawyers to defend its agents of influence when exposed and targeted by the very sort of legal action the FBI claims its recent indictment represents. NED funds such influencing operations in over 100 states globally, from South America to Africa, from Eastern Europe to East Asia, and everywhere in between. Beyond NED, the US government also directly funds and operates other fronts, including NED’s subsidiaries – the National Democratic Institute (NDI), the International Republican Institute (IRI), and Freedom House – as well as the United States Agency for International Development (USAID). Together with NED and USAID, the US government works through and coordinates with other, privately owned intermediaries like George Soros’ Open Society Foundation. Foreign opposition groups working on behalf of US interests and funded by the US government are almost always jointly funded by Open Society, as well as the governments and local embassies of the United Kingdom and European Union members. The recent attempt to accuse Russia of and punish it for supposed “meddling” in the US openly illustrates that the US itself understands the impropriety it is involved in as it conducts its own campaign of global meddling on a much larger scale. What is perhaps most ironic is that the left-leaning individuals manning Washington’s global army of subversive meddlers in targeted nations around the globe have eagerly promoted anti-Russian propaganda, including condemning supposed Russian “meddling,” either oblivious or indifferent to the fact they themselves are engaged in reality for decades in what the US has accused Russia of without evidence over the last year. The further the US pushes this politically-motivated public relations campaign dressed up as counteracting “improper foreign influence” in the US, the easier Washington will make it for the nations it is really targeting around the globe with very real interference to expose, condemn, and dismantle the networks the US uses to carry out this interference. Targeted nations can not only cite America’s own efforts to uproot foreign influence it claims is targeting the US, it can use the same sort of legal and public relations ploys the US is currently using to attack Russia with to do so. Tony Cartalucci is a Bangkok-based geopolitical researcher and writer, especially for the online magazine “New Eastern Outlook” where this article was originally published. Tony is a frequent contributor to Global Research.